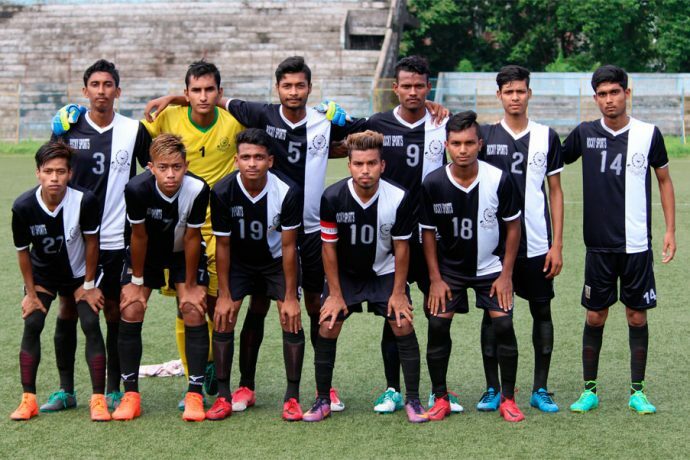 Mohammedan Sporting Club meet Group A leaders East Bengal on Wednesday in an U-19 IFA Shield encounter knowing they have to win big to give themselves any chance of advancing to the knockout stage of the competition. It has been a tale of two very different games for Mohammedan SC. In their opening fixture against a strong ATK side, the Young Panthers exceeded all expectations by holding ATK to a draw. Throughout this game, Mohammedan SC exhibited the lethal combination of solid defense and electric counter attack. Ultimately, they looked like the better side in this game, with the real surprise being that ATK was able to hold on for the draw. Their second game against SAIL Football Academy, however, was a completely different story. The side were sluggish, and could not keep up with the pacey SAIL attackers, resulting in a 4-0 loss for the Young Panthers. After such a promising start, for Mohammedan SC to exit the tournament now would be a massive shame. Mohammedan Sporting Club can still pass the group with a big victory at Barasat Stadium. That said, Young Panthers might not be facing East Bengal at the latter’s 100% level. Rumours circulating East Bengal might rest some of their key players, considering that they have already assured themselves of participation in the knockout stage of the tournament. However, even a win may not be enough for Mohammad Sahid’s charges, as they will need to keep an eye on SAIL’s meeting with ATK at Howrah Stadium. If SAIL win, Mohammedan SC will go out. If ATK draw or win, it will all come down to goal difference. Coach Sahid is expecting a tough game, but the challenge will be to get more out of a goal-shy attack in a team that has scored only from set-piece. The result of this game wholly depends on the extent to which East Bengal rest their key players. Mohammedan Sporting Club may be able to find victory if they face a East Bengal side deprived of players such as Lalchhanhima, Jhantu Prasad and Suranjit Singh.